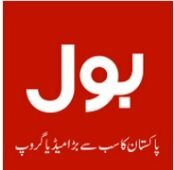 News TV Channel / BOL Network is a media conglomerate based in Karachi owned by Shoaib Ahmed Shaikh, who also served as the CEO and chairman of the media network. According to Declan Walsh Bol Network was under the auspices of the fake diploma mill Axact. The media group was supposed to incorporate television, digital media, cinema and theatre as well as digital media, but when the parent company of Bol, Axact, was unmasked as a diploma mill selling fake degrees Pakistan Electronic Media Regulatory Authority revoked the licence that it had awarded BOL, and the network was not even able to start transmission. Pakistani journalist Kamran Khan was appointed as the editor in chief, but he quit after the Axact scandal surfaced and stated that his conscience did not let him be affiliated with such a network. Bol has launched its live regular transmission on 25 December 2016.